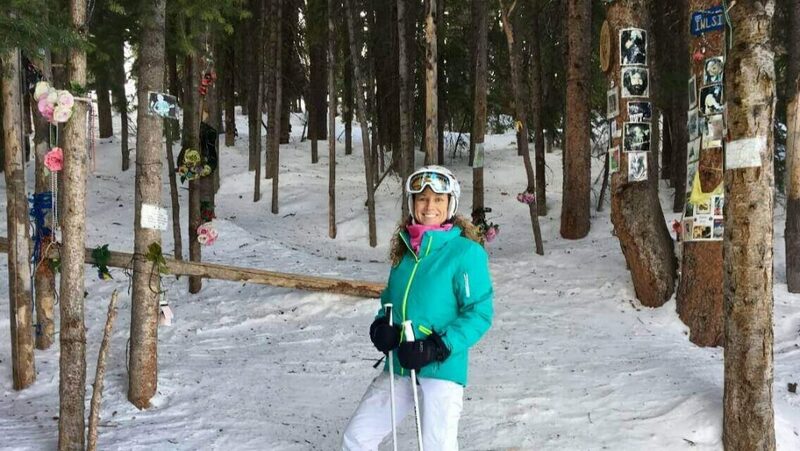 I LOVE to ski—for years now, it’s been a passion of mine. I love it for all the things you’re probably imagining: the beauty of nature, the peacefulness of fresh fallen snow that sparkles, the adventure. I also love it for what it taught me about business and life. I learned how to ski when I was a teenager and lived in Illinois—where most of the mountains are manmade, and the Black Diamonds are like little anthills. So when I moved to Virginia, I encountered real mountains, and they scared me! Because I was under the spell of Perfect Portia—an inner villain who insisted I always look good at whatever I was doing, no matter what!—I skied only the mountains where I thought I could get from top to bottom while looking perfect (or at least, really good). For years, I justified this by telling myself that I didn’t want to fall and break a leg. But the truth was that I didn’t want to fall and look bad. After my first husband and I got divorced (we did a lot of skiing together), I stopped skiing for years. When I eventually started again, I noticed the same pattern: I’d only ski where I thought I looked good. As a result, I was missing three-quarters of the mountains. I’d travel to places of incredible beauty like the Rocky Mountains and the Canadian Rockies. And I’d hear other people talking about the amazing adventures they had on these bigger mountains, the beauty they immersed in, and the wildlife they saw (like moose and foxes!). I was missing out on SO much … because I was playing it safe. The key here: my desire became greater than my fear. These guys weren’t experts, but they were great skiers. They could ski any part of any mountain, enjoy the experience, see the beauty, and have the adventure (with no fear of how they looked). So that was it! I made a decision then and there: wherever they went, I was going, too. I was terrified. But there I was, looking down, and I knew there was only one way off that mountain: to ski, no matter how imperfect I might look. I realized that if I followed the tracks these guys had already laid down, and did what they did, then I’d be okay. And it worked! Even though I was scared to death, and my skiing did NOT look pretty or perfect (truth: I’m sure I was anything but graceful! ), I made it down that mountain. I got to have that adventure I wanted. Yes, I got stuck on my way down. I even needed help to get unstuck and keep moving forward! But I saw the trees and the mountains and the wildlife. I experienced more in that single day than I had in all the 20 years before that combined. And it was the best ski day of my life! I felt accomplished. And I learned that I AM capable—even more so when I have guidance. So I started taking lessons at every level of ability, to continue sharpening my skills and keep improving as a skier. Now, I know, with confidence, that I can go to any part of the mountain and get down it. It may not be perfect, but the imperfections allow me to have continuous adventures! Find a training program that paves the way for your success. Find a community to support you and help you and guide you when you get stuck. Then, learn in motion, just like I did. Be sure to seek continuous guidance. When you do, you’ll find that you have the opportunity to enjoy the adventure that running a business can absolutely be! To help you get started, I’ve created an important (and complimentary) resource designed to give you a path to follow as you begin taking important steps in launching and growing your coaching business. 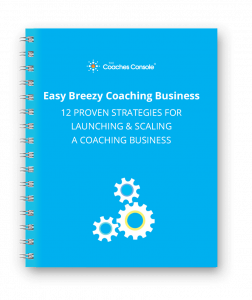 It’s called 12 Proven Strategies for Launching & Scaling a Coaching Business Now and you can download it, here, now. OMG Melinda, I love this post. It reminds me of my adventure into mountain biking (at 50). I was holding myself back and just doing the easy fire-trails. One day I went with my partner and a bunch of guys and was terrified of the big climbs and ‘gnarly’ terrain they took me on and swore never to ride again. I walked most of it. A couple of weeks on I made a decision to do that ride next time they went. I was still scared, but now I was on a mission, and they were so supportive. Not only did I do it, it (eventually) became my fave ride of all time and I would often do it by myself. I felt nuke-proof! I began to look for harder trails. Like you say, it’s a brilliant analogy for business. LOVE THIS… “Nuke-Proof” — unstoppable for sure!!! Thanks for this – new to the community and liking what I am seeing. You are a beautiful example of intelligent courage and your analogy to skiing makes sense and is easy to digest. Thank you for the encouragement to go for it!